More and more in recent years, possibly since the movie The Bucket List came out, people have been writing books and posting internet commentary listing places we need to visit, birds we need to see, and all other manner of things we must do before we die. Devising our own personal bucket lists seems like a fine way to set our personal priorities—we have to think about things we yearn to do before we can make plans to do them. But mass-producing prescriptive bucket lists is far more questionable. The places one person, say a mountain climber or wine connoisseur, would want to visit would be entirely different from those a birder would want to get to. And any one mountain climber, wine connoisseur, or birder might want to go to different places than any other mountain climber, wine connoisseur, or birder. The place I want to go to more than any other is Cuba—a place that would get me several lifers, but not as many as a lot of the destinations on the bucket lists of places birders are supposed to need to visit before we die. 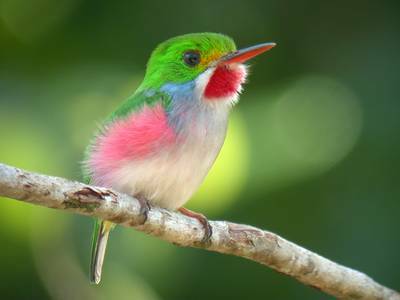 My most yearned for bird in the entire world is the adorable Cuban Tody. It’s probably my number one most yearned for bird in the universe. If I had a bucket list, seeing one would certainly be on it. But I don't have a bucket list, and never will. I never had clarity about the concept of bucket lists until I had my heart attack in February. When I realized that yes, I really was having a heart attack—something no one in my family has ever survived—a lot of things were running through my brain. I thought first of Russ and my kids—they all know how much I love them, and how sorry I am for ways I screwed up, so I didn’t have any regrets on that count, and one by one I reviewed them in my mind—the good things and tricky issues they’re each dealing with in their own lives—and I knew they’d be fine in the long run. They’re wonderful human beings, and really, that’s the only important thing to me. I thought about the little puppy I’d just met in person that week, and how sad it would be if I didn’t live to adopt her. I thought about the two books I was working on, but only in the context of thinking yes, I had enough money in my bank account for Russ to return the book advances if I died. Little images of warblers, puffins, a lovely flight of nighthawks, and, mostly, chickadees flickered in my mind’s eye. I thought about people in my own family that I’d never been able to deal with, and although I felt a tinge of sadness that nothing I’ve ever been capable of doing my whole life could have made those relationships any better, I mostly felt relief in the realization that I had done my best. Mostly I worried about Russ—he was right there the whole time, looking cosmically sad and anxious—he was taking this whole thing far worse than I was and I wanted to reassure him that no matter what, I was okay. In retrospect, it seems sort of odd that those were all the thoughts I remember racing through my mind. Considering I'd gone through a normal, fairly productive day, and had lots of plans and was in the middle of two interesting long term projects, I was weirdly accepting of this sudden twist—not scared at all, but simply trusting in a benevolent universe. I had a very competent medical team surrounding me, a loving husband at my side, and although I didn’t have a clue what my odds were, I was certain I could deal with whatever happened, even if it turned out to be Death. I’ve always thought I was a Dylan Thomas type who would rage, rage against the dying of the light, and I certainly had every intention of surviving, but I figured this was simply not in my hands, and whatever happened, I’d had a pretty darned happy life, so I couldn’t complain. That whole time, while so many thoughts were running through my mind, I didn’t have a single thought about places I’ve always wanted to visit, like Africa, the Galapagos, Antarctica, or Papua New Guinea. Nothing about great photos I wished I’d taken. Certainly nothing about things I wished I’d bought or things I was glad I’d bought—nothing about material objects at all. It apparently did matter to me that I didn’t owe anyone anything I couldn’t pay, but otherwise money didn’t seem important. I didn't think of awards I've won, or books I've written, or any of the things I've done professionally, although I've taken lots of pride in my profession and how I've never confused success with earnings. And I had not even a glancing thought about Cuban Todies. Much as I want to see one, and have every intention of developing a reasonable plan for seeing one as soon as I can, not achieving that apparently won’t be on my list of profound regrets if I never do manage it. The concept of a bucket list is supposed to help us prioritize what we do to achieve a well-spent life. We each are given a finite number of days, and we never know for sure how many until the very last one, and apparently sometimes we don’t know what that day looks like even when it might be happening. How we use those days of our lives, and how we set our goals, are definitely important. That said, contrived bucket lists written by other people purporting to tell us what those goals should be—almost all of which are trendy and expensive—didn’t seem the least bit pertinent when I thought I might be reaching my own end. And any list prescribing experiences you "must do before you die" seems offensive. Many people with disabilities, debilitating illnesses, or little money have no possible way of accomplishing some of those contrived experiences, but I'll bet many of them are living more satisfying lives than the people making up those ridiculously prescriptive lists. 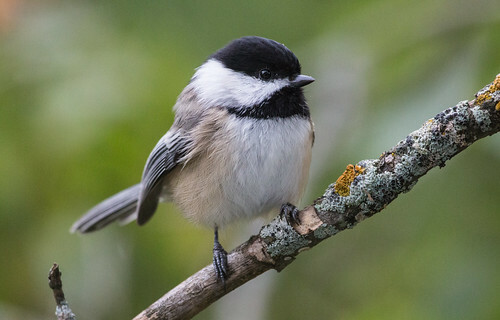 If my heart attack experience is typical of a person who may be facing imminent death, chickadees and loved ones are much more important than just about anything. How do we get through our lives without deep regrets and with deep satisfaction? I don’t know—we need enough money to cover our basic needs, but beyond that, loved ones and nature seem to be the keys. And that includes the birds in our own backyards. Since my heart attack, I've almost finished the book projects I was working on, had some of the most wonderful experiences of my whole life, including watching some chickadees fledge from a nest—the babies of the chickadee missing three toes and with a deformed bill who I've been keeping track of for a couple years—and got my puppy Pip. Life is good, and for the foreseeable future will be lovely and fulfilling without any kind of bucket list to guide me. The one thing I felt I had to do after my recovery was get my home office in order so I'd never leave Russ or the kids stuck with dealing with a lot of useless stuff. I've gone to cardiac rehab and gotten into better physical shape than I've been in in years—even though my heart attack was due to a congenital aneurism of the cardiac artery, I figured it was the prudent thing to do. 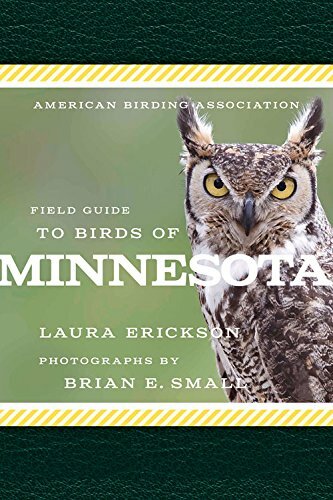 In 2016, I'll be going on a birding trip to southern California with Kim Eckert's Minnesota Birding Week tours, be teaching a couple of birding classes on Audubon's Hog Island in Maine, and maybe going to Uganda. In 2017, I very well may make it to Cuba. Otherwise, I'm just going to keep taking life a day at a time, as chickadees do. When in the murky future I finally do kick the bucket, I'm 100 percent certain I won't be thinking about anyone's contrived "bucket list" listing the things I was supposed to do before I die. Out of my bucket will pour the happy experiences and love I've spent my lifetime amassing. Whether those experiences include going to Cuba or anywhere else, I know for sure that I won't notice.